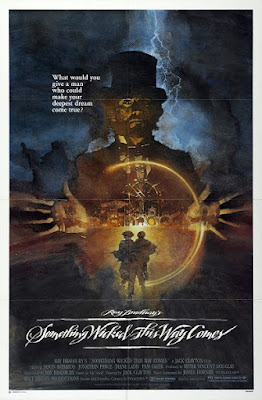 Ellie, Corinne, and Tim get lost in the magic mirror maze and reflect on Jack Clayton’s adaptation of Ray Bradbury’s spooky fantasy Something Wicked This Way Comes from 1983. We’ll discuss the film’s turbulent production and reshoots, its themes of age and regret, and whether Mr. 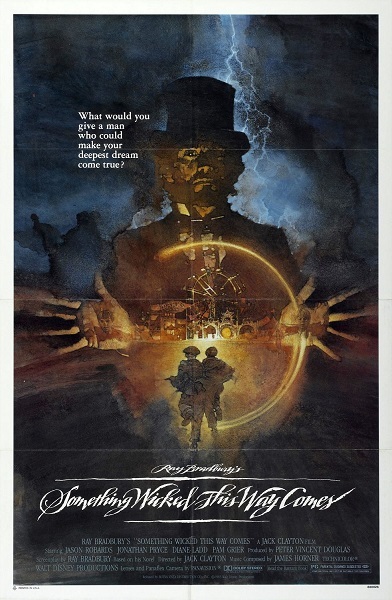 Dark is in fact the mirror universe version of Willy Wonka. Warning: Contains explicit language, spoilers, and gruesome book abuse. Do you have a secret wish you’d like to share? Have any recommendations about where we can find a good deal on lightning rods? Have you heard legends of the Autumn People? Leave a comment and keep the discussion going.